Dorking-based Paragon Software Systems has supported the St Gemma’s Hospice annual Christmas tree disposal service, helping the charity to raise more than £20,000 to care for terminally ill people in West Yorkshire. 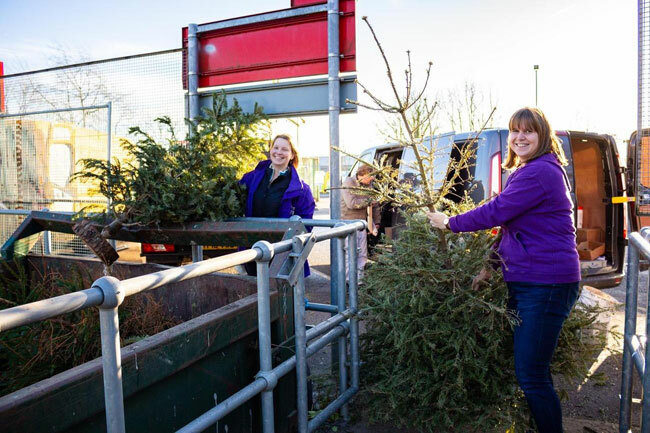 The company provided route planning expertise to support the collection and recycling of more than 1,400 Christmas trees in and around the city of Leeds during January. Using its advanced routing and scheduling software, Paragon designed transport plans to maximise the number of trees collected by a fleet of 10 vans driven by a team of local volunteers. Simple and effective routes were created for tree collections spread across 11 postcode areas which were then delivered to nearby recycling sites in Leeds. Easy-to-use transport manifests were also supplied to the team of volunteer drivers with each schedule designed to minimise the journey times and fuel usage. The Christmas tree collection service is supported by Leeds City Council along with a host of local and nationwide businesses. This year vans have been donated by Leeds Commercial Vehicle Hire, McCarthy's Removals & Storage, RW Landscape and WCS Group. The Hospice’s team was also helped by individual volunteers and employees from AJ Recruitment, Mazars LLP, Sky and Yorkshire Bank.